The American Metalcraft 1698 oven brush has one side of stiff brass wire that cuts through grime, while the other side uses its corrosion-resistant steel scraper to remove baked-on messes. Its wooden handle is comfortable to hold, and its long design keeps the user separated from warm oven components. 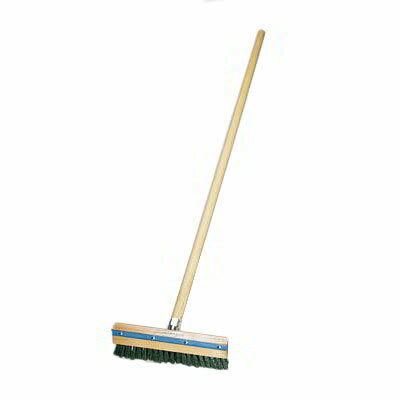 The handle on this American Metalcraft 1698 oven brush has an aluminum tip that is threaded to attach to the hardwood block. "Have not had the opportunity to use it yet."